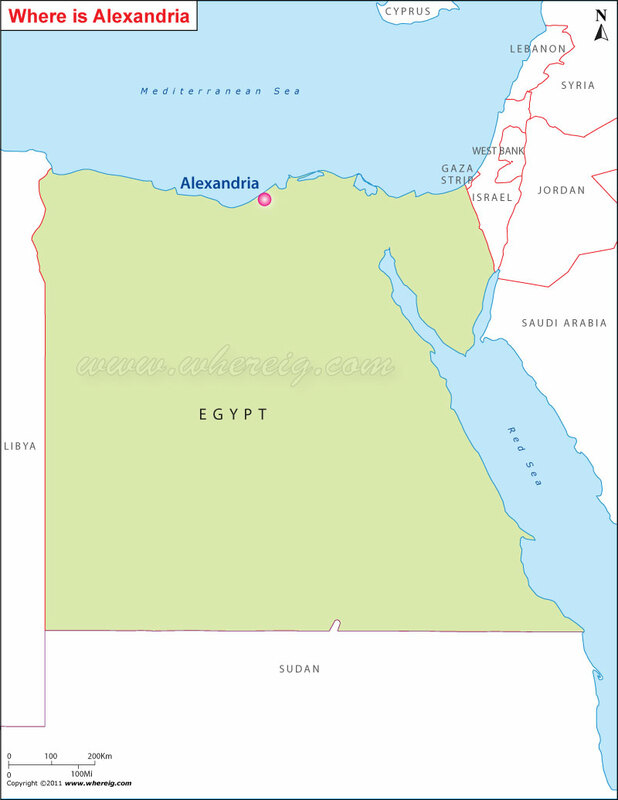 As shown in the given Alexandria location map that Egypt is located at the south-east Mediterranean coast in the north-central region of Egypt. Alexandria is the largest city lying along the south-east Mediterranean coast. It is the largest sea-port of Egypt. The city is founded in the ancient time i.e. 331 BC by Alexander as pharaonic town. Thereupon, it remained the capital city of Egypt for more than thousands of years. The city has not only historical importance but also at present it is well developed and highly industrialized. Interestingly, it is the significant tourist center in Egypt. Moreover, the city had more recognition because of its Lighthouse of Alexandria (Pharos); it is one of the Seven Wonders of the Ancient World. Furthermore, in the ancient time, the Alexandria library was the largest library in the ancient world and the Catacombs of Kom el Shoqafa was also one of the Seven Wonders of the Middle Ages.